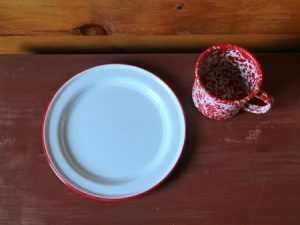 We offer enamelware dinner plates by Crow Canyon Home and Golden Rabbit. 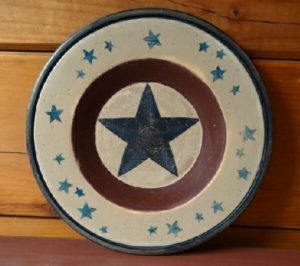 Also we offer hand-painted wooden plates with country designs painted with acrylic. 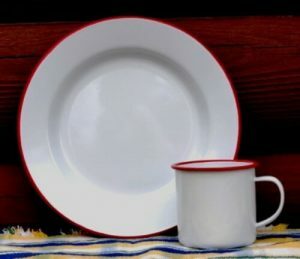 Vintage white 10 inch enamelware dinner plate with colored rim. 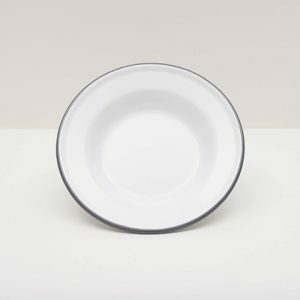 These white enamel flat salad plates are just the right size for serving snacks or lunch. 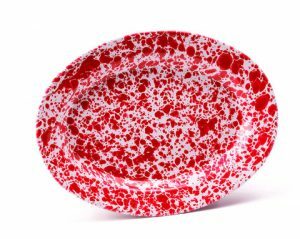 Add a bit of color to your kitchen with splatterware enamel dishes. 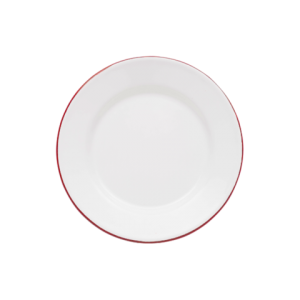 You will use this raised salad plate for serving oatmeal, hash, soup, stews and more..
Buffet plates are 12 inches in dia. 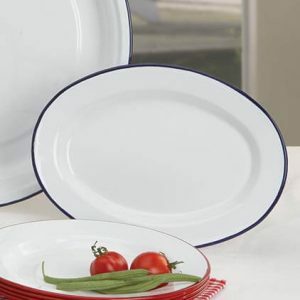 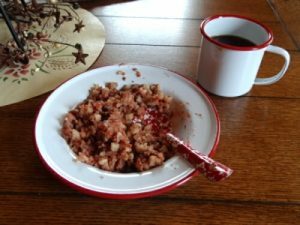 which are a great size for larger portions. 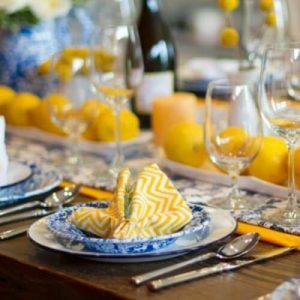 The blue marble salad plate is on top of the vintage white dinner plate in photo. 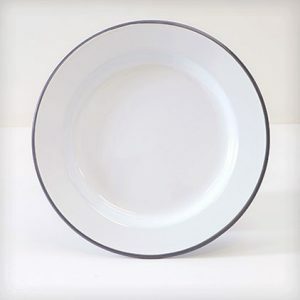 I use this plate for breakfast. 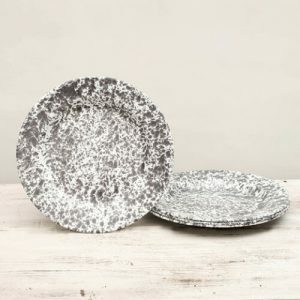 This wooden candle plate was crafted in the USA.